Months of design and planning factor into equipment setup, and in doing so you expect the process to run smoothly. However, a low-quality protective enclosure can damage or even ruin the equipment for businesses such as data centers, telecom hubs, or even power generation facilities. All too often, this is a result of hiring a company that only offers enclosures as a secondary service, leaving a lot to be desired when it comes to quality. When trusting someone to protect your operation, it’s important to go with the expert on the subject. For over 35 years, we at Fibrebond have been leading the industry in constructing and integrating mission-critical structures. Our facility stretches over 180 acres and has over 500,000 square feet of production space, giving us the scale and attention to take on our customers most complex and simplest projects. By manufacturing and integrating in our own production facilities, we offer a turnkey approach with faster timelines and higher quality assurance compared to the companies who stick to onsite construction or other enclosure manufacturers that don’t operate under the same strict quality guidelines as Fibrebond. One of the main differences between Fibrebond and our competition is our relentless focus on our customers. We insure our execution teams are not overloaded and can maintain awareness of each customer’s needs, no matter how large or small the project is because each one is important to us and our customer. Therefore, we have become industry experts on enclosures and are skilled in delivering the best quality from our world-class manufacturing plant and LEAN continuous improvement process. This turnkey approach also means protective structures can be rigorously tested in controlled conditions so that the delivered product is uniquely suited for each business’s exact needs. Our project management teams work closely with customers to assess the needs of each client and develop solutions that are targeted towards the conditions they face. Not only that, but we ensure quality assurance checks at each stage of the production process and each project must be inspected and approved at each stage before it may move forward in the production process. 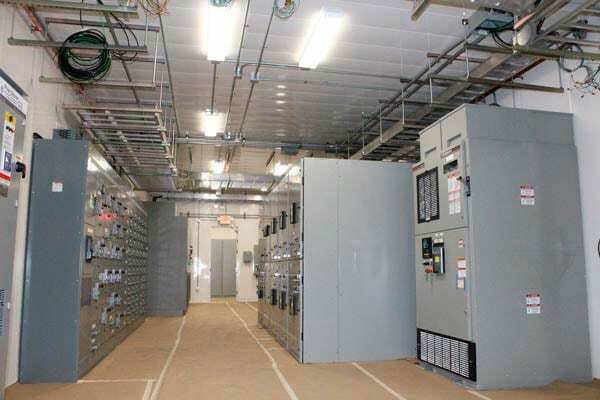 Through our advanced understanding of enclosure manufacturing, as well as the equipment the enclosures protect, we have been able to offer complex protective structure solutions to businesses in all 50 states. With concrete, steel and hybrid structure options available, our team of industry experts are able to find the perfect solution for operational needs. And most importantly, these structures aren’t an afterthought for us; it’s what our company solely focuses on! This level of expertise ensures a high-quality, specialized product for the best price possible. When choosing a manufacturer to protect your critical infrastructure, make sure you’re going with the guys who will get it right the first time. Learn more about how Fibrebond is leading the industry and providing reliable, customized, and successful products to hundreds of businesses today.